Margaret Atwood’s The Handmaid’s Tale has been in the news a lot lately. Her book is now considered a classic, a recent television adaptation was a huge success, and a sequel is due out later this year. The book was first published in 1985, a time when many in the U.S. and other western societies assumed that the women’s movement was making changes that could never be reversed, and that society was gradually becoming more liberal and more tolerant. Today, more than three decades later, Atwood’s dystopian vision increasingly seems far closer than we would have imagined when the book was first written. 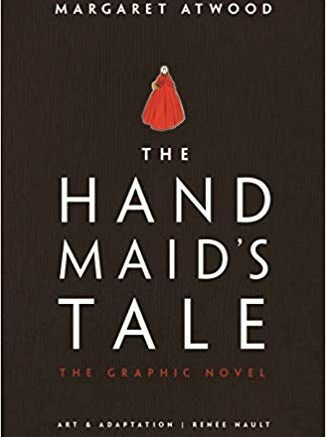 This graphic novel adaption is done beautifully, and shows Gilead (the country that used to be the United States) almost as a dream — and a bad dream at that. Highly recommended.